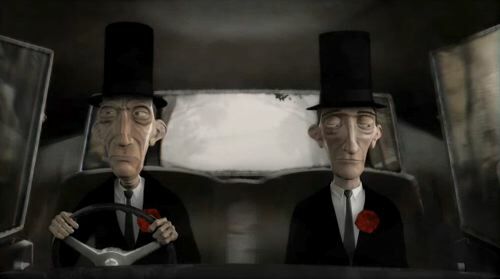 Congratulations to Smith & Foulkes who’ve just been nominated for the 2009 Best animated short Oscar for This Way Up. You have the opportunity to see the film as a free download from iTunes as part of a Sundance Film Festival tie-in until 25 January. I’ve been a huge fan of the output of Nexus Productions and Smith & Foulkes (since their Vehicle days), since featuring their work in the early days of onedotzero. The artfully animated comedy short is a Burtonesque crowdpleaser.